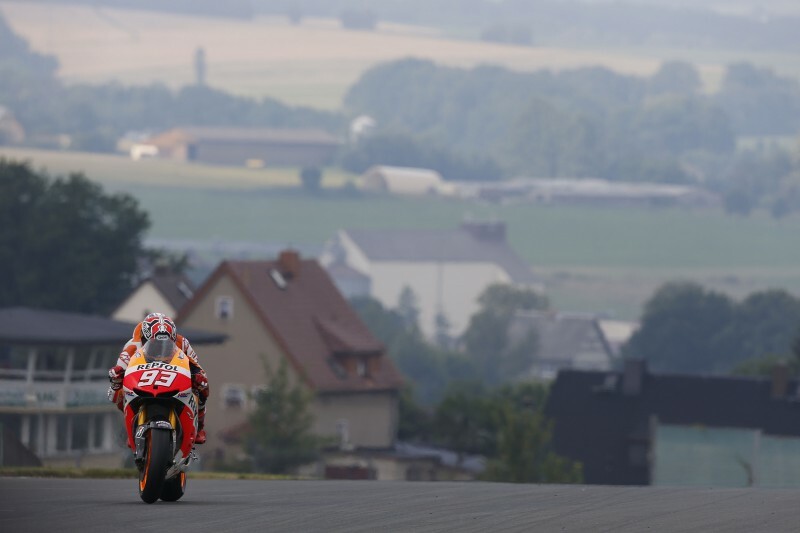 This weekend’s German GP marks the midway point of the 2014 season and Repsol Honda’s Marc Marquez is firmly in the driving seat, with teammate Dani Pedrosa third in the Championship but level on points with second place Valentino Rossi. The German GP attracts some of the biggest crowds on… read more. 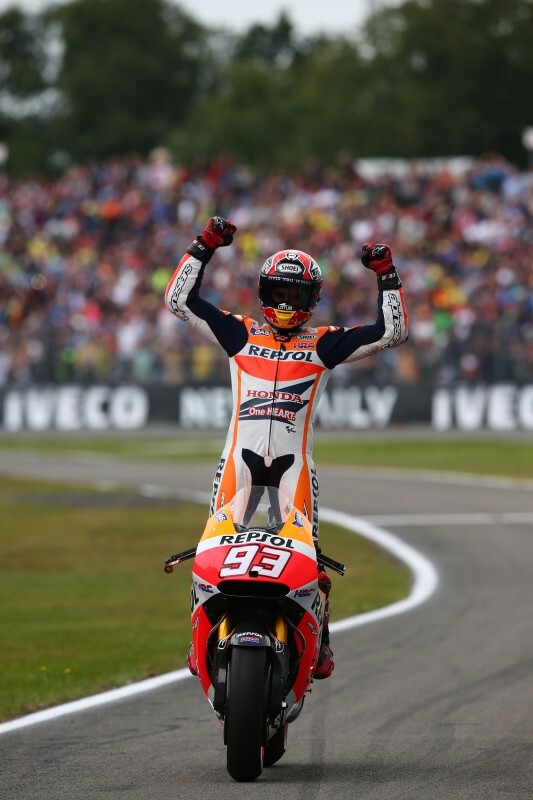 Repsol Honda’s Marc Marquez has taken his eighth win from eight races, continuing his flawless run in 2014, and has become the youngest rider to win eight successive premier class races (21 years 131 days), taking the record from Mike Hailwood (24 years and 71 days) who won the eighth… read more. After yesterday’s unfamiliar dry conditions in Assen, today the unpredictable Dutch weather arrived. 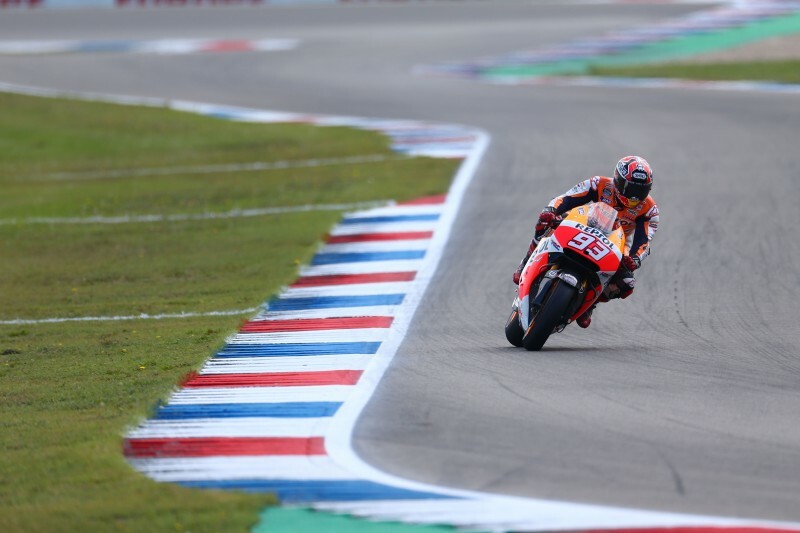 Fortunately both Repsol Honda riders, Marc Marquez and Dani Pedrosa, recorded a time yesterday to promote them into this afternoon’s Q2 as this morning’s FP3 session the track wasn’t fully wet – or dry – and neither… read more. 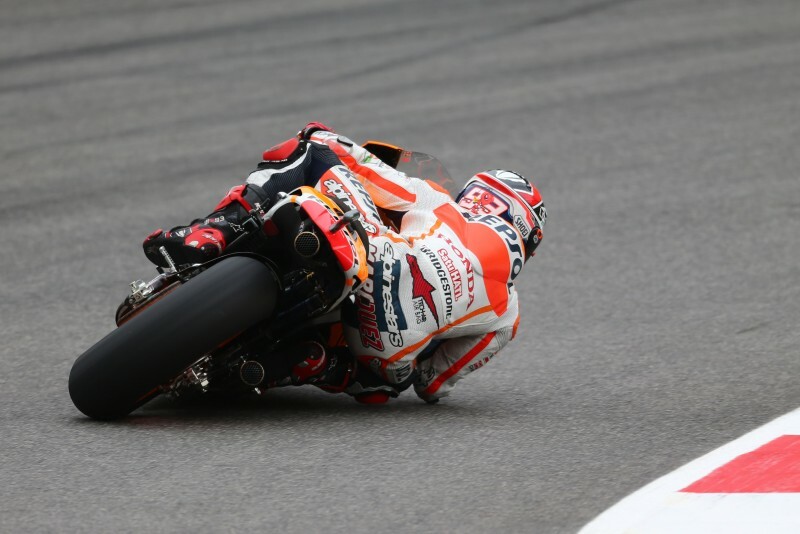 It’s been a positive first day at the Assen TT for Repsol Honda’s Marc Marquez and Dani Pedrosa. This morning on a ‘green’ track, the riders were placed 4th and 8th respectively, but as the temperatures and track improved in the afternoon, they found their rhythm in FP2. Marc finished… read more. After their seventh win in-a-row, the Repsol Honda Team are en route to Assen, Netherlands in peak form. 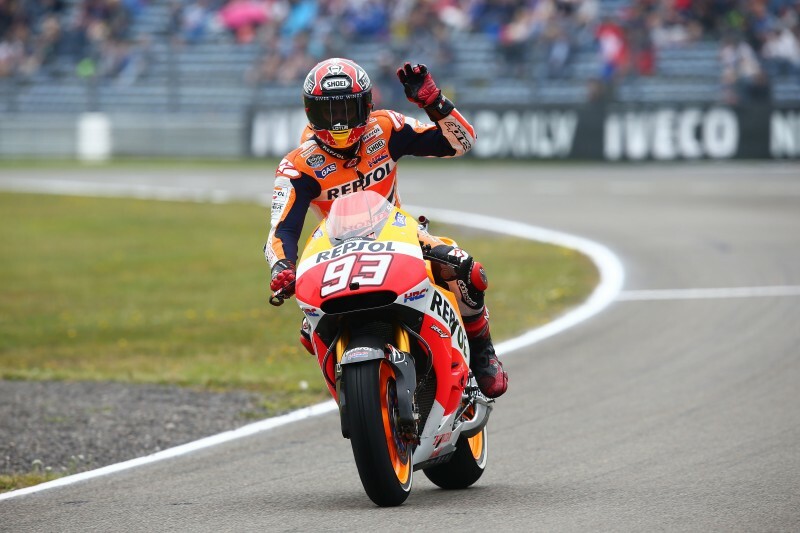 The longest-running event on the MotoGP calendar, the Dutch TT in Assen is always held on the last Saturday in June in a carnival atmosphere that attracts raceday crowds of more than… read more. After yesterday’s fantastic race, Repsol Honda’s Marc Marquez and Dani Pedrosa were back on track today for the Official Post-Race Test. Marc worked on electronics and mapping settings and tested a new Öhlins fork and the new front Bridgestone tyre, confirming the tyre felt safer and provided better feedback than… read more. 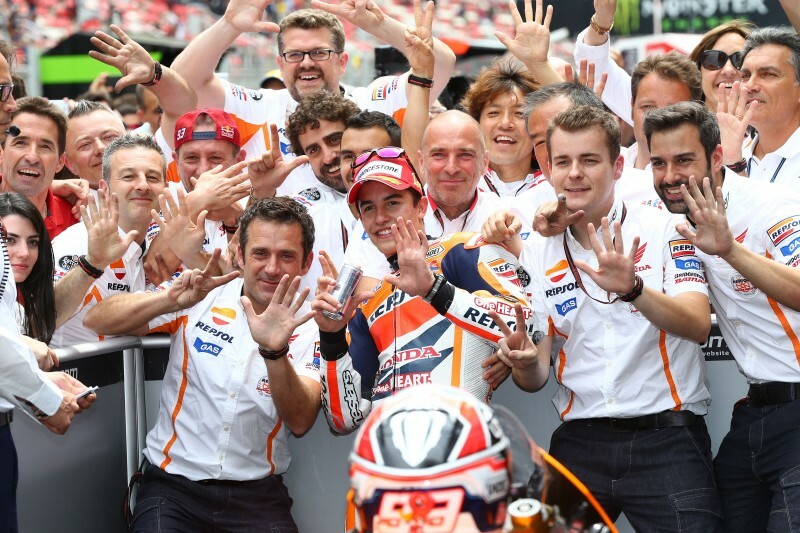 Repsol Honda’s Marc Marquez has continued his perfect season with his seventh consecutive win, marking Honda’s 100th victory since the introduction of the four-stroke MotoGP era, and has become just the second rider after Valentino Rossi to win seven successive MotoGP races since the category was introduced at the start… read more.